A new report from Software Advice, a data visualization research firm, has revealed some interesting trends in the business intelligence market.. 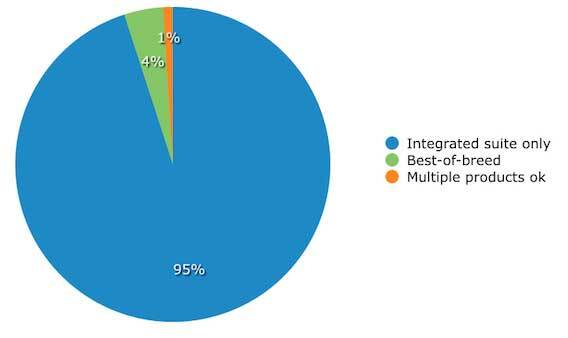 The vast majority of prospective buyers are looking for integrated suites. This is fairly inevitable as the breadth of capability continues to increase (reporting, mobile support, dashboards, ad-hoc, analytics etc) and the complexity associated with tying disparate products together increase exponentially (it is actually proportional to the square of the number of components). 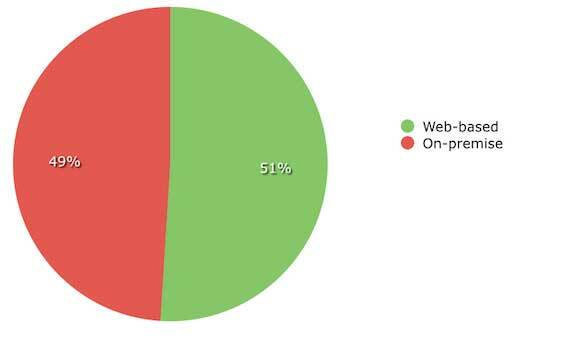 In fact 95% said they were (quite wisely) looking for an integrated suite. Another interesting trend is the decision to go for cloud based solutions. While 82 per cent of buyers interviewed had not made a decision on in-house or cloud, the ones who had made a decision favoured cloud slightly (51%). In my opinion this relates to the people who were interviewed – IT people in the main. Hosting in the cloud makes life so much simpler, and may turn out to be cheaper. There are of course security, performance and availability concerns, but it would seem that these have been allayed for many prospective buyers. 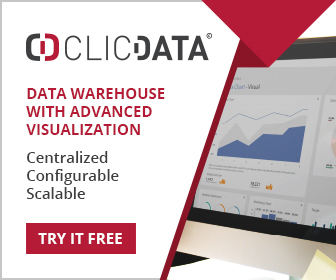 Clearly the high demand for visual reporting is driving many BI initiatives, and Software Advice found that the overwhelming reason to deploy a BI suite was to meet these needs. 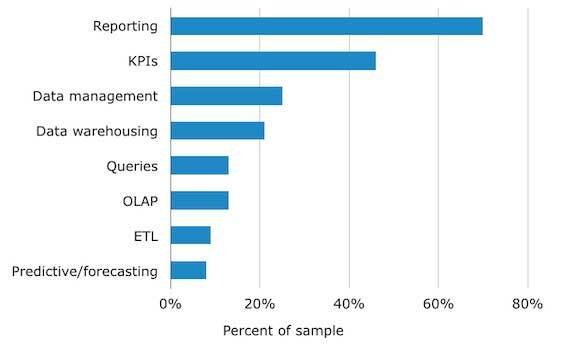 In fact 70% of respondents said this was the main driver with other needs (OLAP, ETL, querying etc) being much less important. This result is sort of obvious – the end deliverable is a visual report of some sort, and many really do not care abut the journey from raw data to report. However they would be foolhardy to ignore such issues as ETL and OLAP. The low showing for predictive analytics is interesting and demonstrates quite well that this is still the domain of very large organisations, and that considerable caution is being exercised – a wise position in my opinion. To create this report, Software Advice randomly selected 385 phone interactions from 2012-2014 to analyze. These findings exclusively represent those buyers who contacted Software Advice for guidance on software selection, and may not be indicative of the market as a whole. The full report is full of other interesting findings and can be found here.